I know I normally post mainly about romance, but not very often does a book come along that intrigues me enough to let everyone know about it. This book is so well thought out and just down right cute. 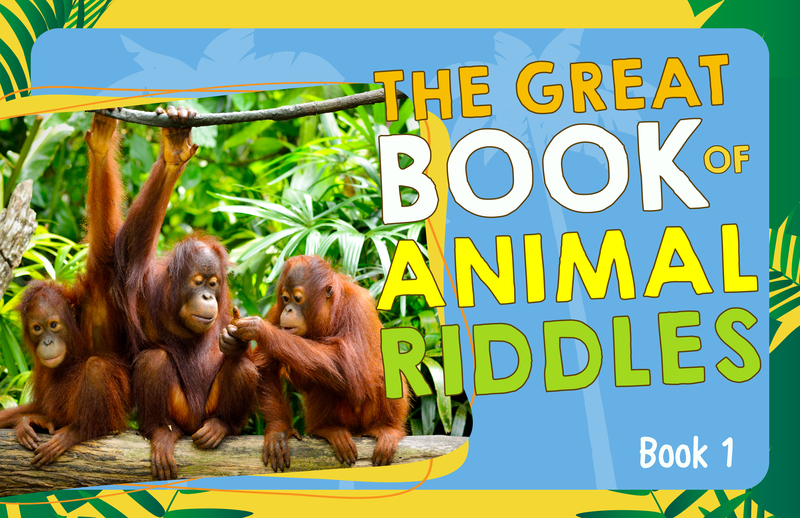 The Great Book Of Animal Riddles by Bankier Books is a children’s book that uses a unique and different way to teach kids about animals. Not only did my kids love it, but I actually learned a lot. My kids and I love to play trivia, ask questions, tell jokes. So this was a no brainer for us to get. I would read off the questions and riddles and let the kids play against each other and see who could guess more right. It was fun, and it kept my kids away from the television which is always a plus!! Now not only did the book contain a plethora of knowledge about animals, but the illustrations were down so well. The book had appeal and unlike most books about animals, the pictures were clean and direct.. What I mean by that, is normally animal picture books have so many plain cut pictures, this book had cute graphics, and you would just have to see it to believe it. I liked reading it, and the kids enjoyed looking at the pictures. Now I think this book is good for children of all ages. My kids are 13,11,and 7. They all got a kick out of answering the questions, even my husband got in on the action. We all learned something. How does a penguin recognize their children? What are meat-eating animals called? True or False: A beaver dam can actually be seen from outer space. Some of the answers will surprise you!! I know I was shocked with a few. Bankier Books is a small, family owned publishing company. Their motto is, ‘quality books for curious young readers’. I guess what I hope the readers of your blog will take from the review is that our books are different. We take our readers very seriously, we only publish books that we are proud to put our names on, and we do whatever we can to create books that kids will enjoy reading over and over again. The series itself, as you’ll see, is quite different from other books about animals that can be found on Amazon. It focuses on riddles and active games, which makes this book a bit of book and game in one. The idea is for kids to learn interesting new facts (What color is a polar bear’s skin? Where can you find the mysterious “living fossil”? What’s the deadliest snake in the world? Can you really tell a ladybug’s age by its spots? How do penguins recognize their chicks? How many hearts does an octopus have? etc.) and have a great time, too. The Riddles series (8 books in total – 6 books dedicated to animal riddles and 2 books dedicated to dog riddles) is the first series we are publishing at Bankier Books. This book was well thought out and my kids absolutely adore it!! It gives great valuable information that anyone can learn from. I found myself learning quite a bit about animals. This book takes great care in how they deliver the knowledge and makes it fun for everyone. I read the questions off to my kids and made it into a fun game. We all learned so much. Not only are the questions great but the illustrations were charming. Very well done!! My kids loved looking through the book at the pictures, as well. True or false: lizards smell with their feet? How do parent penguins recognize their chick? And many more great questions and riddles. If you are looking for a fun way to teach your kids, and yourself about animals…then look no further, this is the book for you. 5 amazing stars. Next Post How my most embarrassing moment helps me write better.